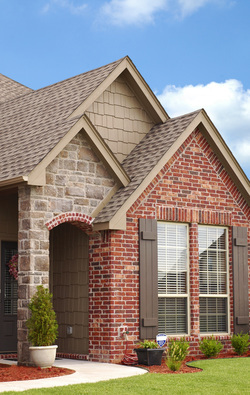 A roof is one of the most important features on an Austin home. Without a properly functioning roof system your home is in jeopardy. Not only is the exterior of your Austin property being compromised but also the interior content of your Austin home. A typical residential roof has a lifespan of 25 to 50 years depending on what products are installed on the roof. There are several product options and color choices to choose from.